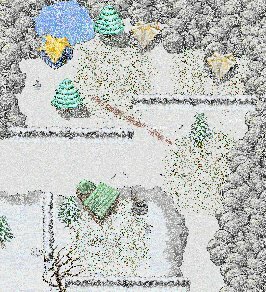 Description: Snowtown the dream of many male inhabitants of Arilon, maybe except the Elithren ones, becomes reality. Every day is a fight for survival, in the evenings they can go to the local pub and the wifes stays at home and waits for them. Visitors of this town will not face any hospitality, they rather face a good brawl in the evenings. how to get here: Snowtown was built in the Snowland. To reach it, you have to pass the northeastern batcave, enter the Snowland and keep always northeast in the cold. This page was last modified on 22 October 2007, at 13:47.